Home » Gurbani » Disrespect Of Guru Granth Sahib Ji » Once More Beadbi of Sri Guru Granth Sahib Ji in Village Haripur Sandoli , Himachal Pradesh. 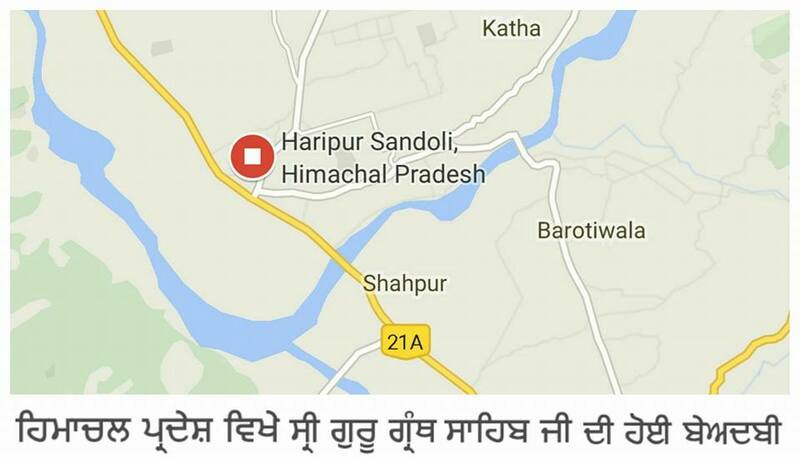 Breaking News: Sikh Channel have received reports that last night, Beadbi of Sri Guru Granth Sahib Ji occured at the Gurdwara Sahib in village Haripur Sandoli village located at Nalagarh Baddi Road (NH21) in Himachal Pradesh. Initial reports state the Gurdwara Sahib was entered by an unknown person who committed the sacrilegious act. Local Sangat have gathered at the Gurdwara Sahib. Further updates will be provided once received. Next post The Memory Of Bapu Surat Singh Khalsa is Weakening Day By Day.